Arlene from Israel – Those Human Shields. Yet another factor in the current conflict is the willingness – indeed the eagerness – of Hamas to promote a PR advantage by putting its civilians in harm’s way. This is not a new tactic. Israel goes to the extraordinary lengths of warning Gaza residents of a house that an attack on that house is about to take place, so that they can leave in time. Most often it is done by phone calls with an Arabic message. But there is also something called “roof knocking” which is launching of a small explosive device to warn that a large attack is imminent. The IDF Spokesperson’s Unit continues to expose Hamas’s use of civilians as human shields. Hours after it published photographic evidence of this, it published another video, this time of Hamas spokesman Sami Abu Zuhri admitting that the group uses civilians as human shields and encouraging Gazans to continue to do this. Abu Zuhri’s comments were made on Hamas’s Al-Aqsa TV. He referred to the night of June 8, when the IDF avoided civilian casualties by aborting an air strike. He then encouraged Palestinian Arabs in Gaza to continue the practice in order to deter IDF strikes. For Hamas, it’s a win-win. Either the house – which is likely either a house where weapons are stored or the home of an Hamas leader or both at the same time – does not get hit, as the strike is aborted by the Air Force. Or, civilians are killed and it becomes a PR gain for Hamas – as the number of civilians killed increases. For the residents themselves, who go up on the roofs, either they are confident that Israel will not strike them, or they are content to be “martyrs” for the cause. This situation is possible because Israel is dealing with an enemy with no respect for human life, while we Jews have ultimate respect for human life. This reflects an enormous moral advantage on Israel’s part, even as it sometimes generates an apparent PR or strategic disadvantage. There will be, as the conflict progresses, a growing disparity between number of Palestinian Arab civilians (or presumed civilians – remember that Hamas exaggerates!) killed and the number of Israeli dead. At present, thank Heaven, we have had no one killed. Thus it is imperative that people understand the reality in terms of the difference in how Hamas and the Israeli government are handling the situation. And Israel makes shelters available, especially in areas that have been most at risk for rocket attacks. Some of the shelters are decorated, to minimize the trauma of children, which is a great concern. In some cases huge sewer pipes have been brought in to use as shelters. There is an attempt, when kids must be inside shelters for prolonged time, to provide facilities and games to ease their way. Government announcements go out imploring residents to heed instructions and to stay close to shelters. There are warning sirens (although, of course, of short duration near the border). 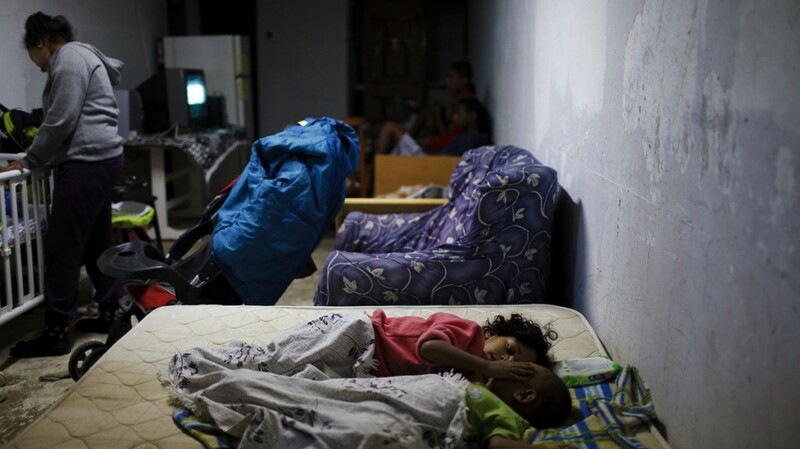 We have Israeli residents in the south who are spending their whole nights in shelters. Compare this, my friends, to what Hamas is doing, and make sure as many as possible understand this situation. As to Hamas, every analyst is making it clear that its behavior is wrought of desperation and not strength. Hamas has confronted a series of frustrations and failures recently, including the way in which the IDF hit Hamas infrastructure in Judea and Samaria, and rearrested Hamas prisoners released in the Shalit trade – all in the course of the operation to find our kidnapped students. In addition, Hamas’s relationship with Egyptian president Sisi is not good, so it is not likely that there will be significant support from him. (An Egyptian diplomat has just criticized Hamas leadership as having made irresponsible decisions.) While Arabs across the area (as well as Iran) are so focused on Iraq and ISIS, the Syrian civil war and other major crises that Gaza draws very little attention from them. Hey, even ISIS is not supporting Hamas, saying that the time for confrontation with Israel is not yet. Hamas, feeling isolated, strategically weakened, and short on funds, apparently figured it had nothing to lose. Its aggressive behavior towards Israel was designed to draw attention and support from the Arab world, and, hopefully, ultimately funds. Netanyahu has said we are not interested in a ceasefire right now, and he has instructed the IDF to escalate its efforts. We have hit 800 targets in Gaza, although many more remain. And now, finally, it is not just the homes of terrorist leaders that are being hit: it is the terrorist leaders themselves. Reports are that we dispatched Iman Siam, who was head of rocket operations for Hamas. Then there were three Islamic Jihad leaders, one of whom is Alaa Abed a-Nabi, a senior officer responsible for Islamic Jihad’s rocket operations. Peter Lerner, IDF spokesman, said on TV a little while ago, that these guys cannot expect to be involved with launching rockets at us and then think they can just safely get in their cars or on their motorcycles. It’s about time! At this moment in time, it does appear that our ground forces are on the verge of going into Gaza. By the time you read this, it may well have happened. Four brigades are at the border with Gaza and one or two more are still to come. As of last night, IDF Chief of Staff Gantz had approved all plans for a ground incursion. And we have sent messages by phone to 100,000 residents of Gaza, in Beit Lahia, Beit Hanoun, and Absan, telling them to leave the area immediately. But, incredibly (or not so incredibly), Hamas has told them not to leave. There you have it, folks: on a very large scale. Human shields. If that is what we are about to do, I say Baruch Hashem. And may the Almighty watch over our fighting boys. Because it’s frightening, for their sake, and I do not pretend otherwise. They, however, are eager and ready to go. Do not think otherwise! Again today, in the course of writing this, I had to take a break because the siren was sounding warning us of a rocket incoming. I went to the safe place in my apartment, and after the siren stopped, my windows rattled. I knew this had been caused by an explosion. Now I’ve learned that four rockets were shot at Jerusalem. Two were intercepted by the Iron Dome (and that is perhaps what caused my windows to shake) and two landed in an empty field. I felt no fear during this time, but when it was over I felt an enormous sadness – that we should have to endure this. Not much longer, I pray. Whatever the rhetoric, there is considerable caution about the ground operation we may be about to embark on. The traps that await our soldiers in a very densely populated area are many. But many believe that there is no way to accomplish what must be accomplished solely from the air. Weapons caches are hidden in civilian areas, so that they cannot be reached from the air. And there is, as well, a network of tunnels that are intended for incursions into Israel, that cannot be identified from the air. What is said to be key here is that goals be carefully and realistically defined. The term used is the need for “an exit strategy.” We have to be able to say, OK, we’ve done what we needed to do, and we can leave. The concern is that we might get entangled in a way that leaves goals unclear or allows Hamas to claim “victory” because it appears we couldn’t accomplish what we set out to do. I do know that the IDF has been planning and training for this possibility for a long time. And there are even those who are predicting a very major effort, as Yuval Steinitz did the other day, that involves a temporary takeover of Gaza. One other point here that I think is extremely significant with regard to our need to be tough right now. Yes, we have to dismantle or severely reduce Hamas’s ability to hit us again at at time of their choosing. But deterrence in a broader sense is also critical now. At our north, there is Hezbollah and ISIS, and other jihadist groups. Right now they are not interested in taking on Israel, because they are otherwise occupied. But that does not mean they do not have intentions of hitting us at some future point. Our message to them must be one of resolve and strength. They must understand what awaits them if they challenge us. 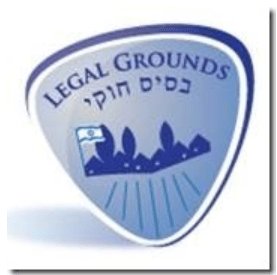 Next Israel Advocacy Update: How many rockets would YOU tolerate?